Even if you only want to make enough money to help you cover your bills, there are some things you need to keep in mind if you are going to be a successful online entrepreneur. Use these simple tips to help you become a online business entrepreneur. 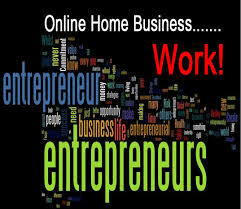 Don’t start a home-based business for the sole purpose of making money. Yes, the money is important, but it is equally important if you are serious about becoming an online entrepreneur that you are doing something that you are passionate about and that you enjoy talking about. A huge part of being a successful online entrepreneur is going to be marketing. The only way that your potential customers are going to believe your sales pitch is if you believe in your product. The more you love the product that you are going to be selling and the idea that you have for marketing the product, the greater the odds are that the entire endeavor is going to be profitable. Many people don’t realize that a huge part of being a successful online entrepreneur is not dealing with the business itself, but working on marketing. A good online entrepreneur spend a great deal of time on networking sites and watching the ebb and flow of the various trends. Once the entrepreneur has identified a few trends that look like they are going to be around for a while, the entrepreneur will than start to determine the various ways that they can make the trends work in such a way to drive a substantial amount of internet traffic to their website. Ask any good online entrepreneur about why they have enjoyed so much success and they will almost always say that it is because they are very good when it comes to planning. There is not a single aspect of the business that they do not spend hours deliberating over. They have spent so much time going over their plans that they have foreseen every possible scenario and are never caught off guard or by surprise. Since they have spent so much time planning and working things out, they have absolutely mastered it. If you are serious about becoming an online entrepreneur means that you are going to have a great deal of discipline. Not only are you going to have to dedicate a great deal of time to things like balancing the books, updating your websites, and writing blog posts, but you are also going to want to set aside time every single day to tweaking and polishing your network marketing skills. This is particularly important during your first year in network marketing. Marketing your business is something that you are going to have to do every single day, to establish brand recognition. This entry was posted in Online Business Tips and tagged home based business, network marketing, online entrepreneur. Bookmark the permalink.